It’s time for my annual article about hourly rates of minimum wage pay. The rates are reviewed each year by the Low Pay Commission and increase on the 1st April each year. For all of you who earn ‘minimum wage’ this is good news – your pay should be increased in line with the April increase. So, how much is the increase, I hear you all ask. The rates vary according to age or type of work. If you are an apprentice, the rate from April 2018 was £3.70 and from 1st April 2019 will be £3.90. For those workers under 18 years of age who are not in an apprenticeship, the rate goes from £4.20 in 2018 to £4.35 from April 2019. If you are aged between 18 and 20, the rate increases from £5.90 to £6.15 per hour. Workers aged between 21 and 24 will see an increase from £7.38 to £7.70. Finally, for those workers over 25 years of age the rate increases from £7.83 to £8.21. 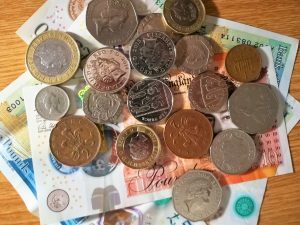 At this age the rate is known as the National Living Wage, which first came into being in April 2016. There is more information on the Gov.uk website at https://www.gov.uk/national-minimum-wage-rates If you are employing someone on a minimum wage and want to ask how the entitlement is structured and calculated, then please just give us a quick call and we will try to help.